Bright yellow, four-sided cones have versatile tops that accommodate a barricade belt, flashing light, lock-in sign holder or audio warning device (accessories not included). 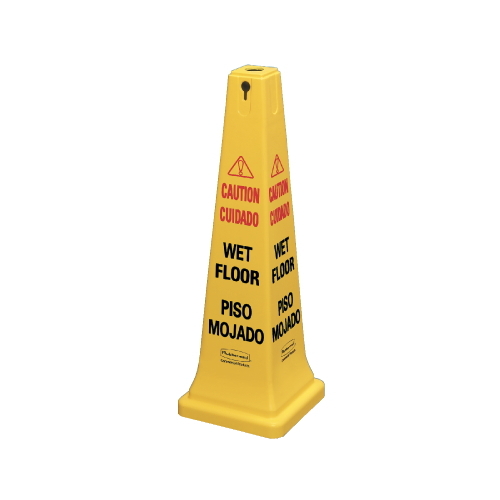 Imprinted “Caution Wet Floor” in English and Spanish. Stackable; recessed top surface for handling ease.